MTS will hold a meeting on Thursday March 26. While there is no public comment period on last week’s decision to raise fares and reduce services, there is a general comment period at the beginning of the meeting. We will use that comment period to ask the MTS board to formally request funds from SANDAG. The meeting is 9:00 am at 1255 Imperial Avenue, Suite 1000. City Council representatives Todd Gloria, Tony Young and Sherri Lightner sit on the MTS board. County Supervisor Ron Roberts is also on the board. 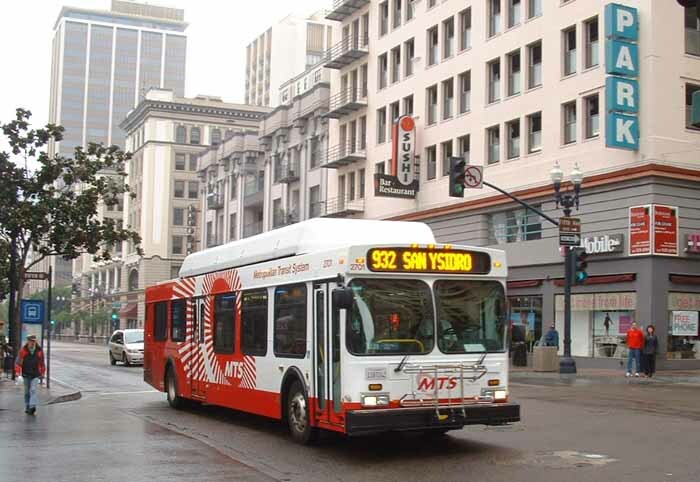 Transit riders and transit supporters- let these elected representative know that TRANSIT MATTERS and that SANDAG cannot continue to neglect San Diego’s public transit needs. and while they’re at it, ya think they could redesign the transit routes so they are actually of use to working people. there are, for instance, jobs up at miramar, but no way to get people to them! Back in the 1990s when I worked in City Heights, the University Ave and El Cajon Blvd transit zone was considered the most heavily used transit corridor. The City Heights CDC and other community groups tried to get MTS to consider building a trolley line down that corridor out to SDSU. No way, was their response. Also our transit policywonks forgot to install a short trolley line out to the airport, you know, one of the transit hubs of the region. But, hey, we got a line out to Qualcomm Stadium – where during the off-football season, it must have at least a half dozen events. We need two major things. First of all enabling of a parking tax along with the elimination of Sunday free parking at meters. we have subsidized the auto long enough! Second, requiring all merchants, landlords, and, employers that give free parking being required to give an equivalent benefit to transit users, bicyclists, and walkers. As to transit routes. Any business that benefits from a route (proximity of 2 blocks) be required to pay a fee to help that route. A $200 a year transit fee payable in 4 quarterly installments that would be tax deductible could be borne by the businesses involved.